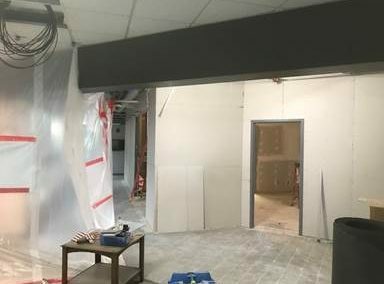 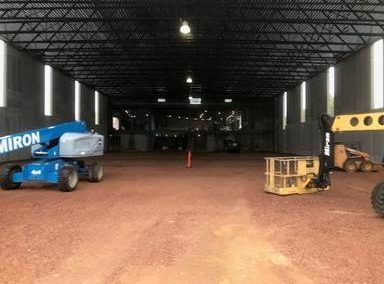 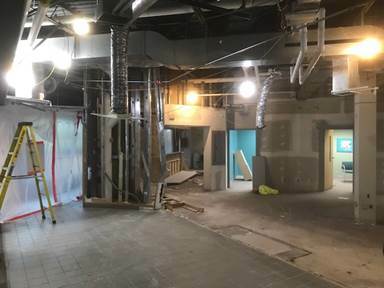 This month we started demo of the main entrance of the existing building. 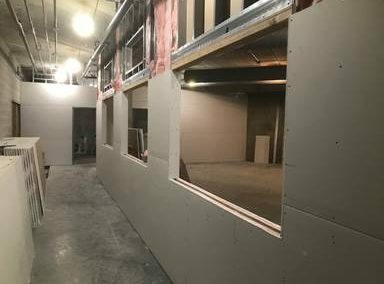 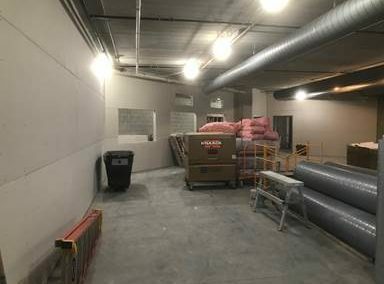 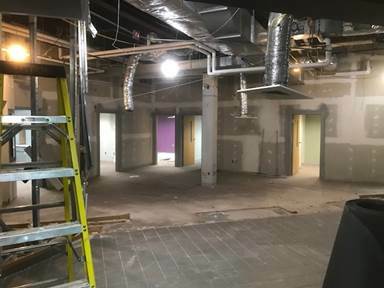 We also started hanging drywall in the new addition for phase #2. 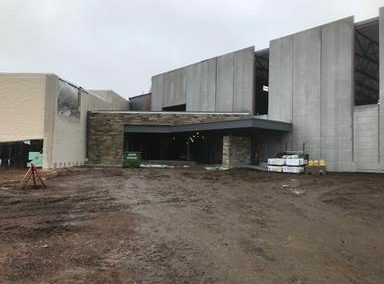 The field-house framing is almost complete and the new main entrance stone veneer is also complete. 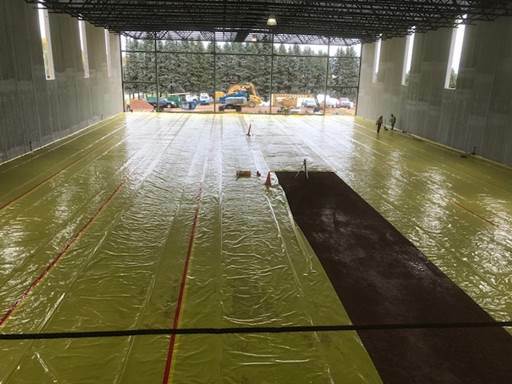 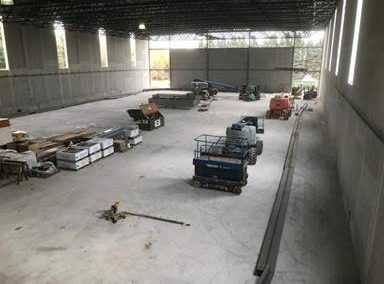 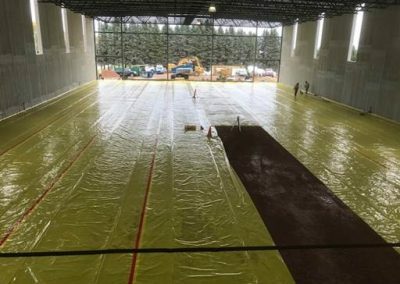 We worked on rough ins and hanging drywall in the existing building and got the gym floor prepped and ready to pour. 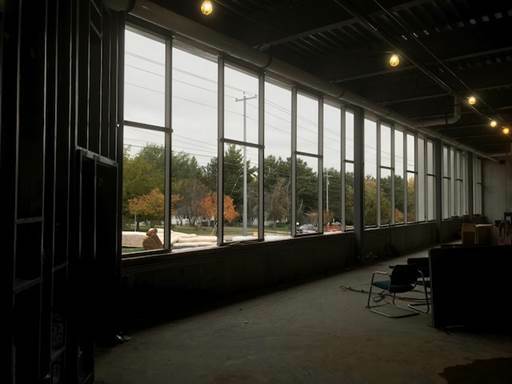 We started installing windows on 2nd floor. 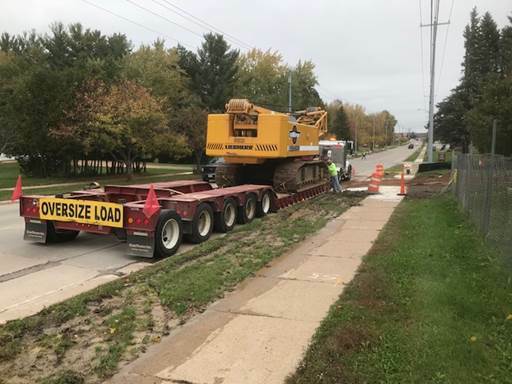 This was also the last time for the crane! 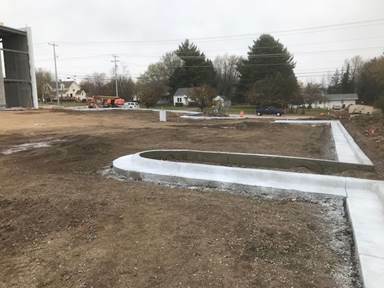 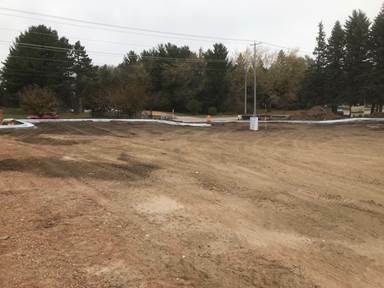 The curb and gutter have been installed in the parking lot. 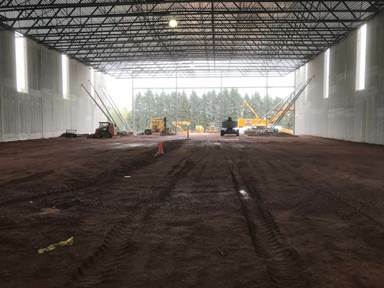 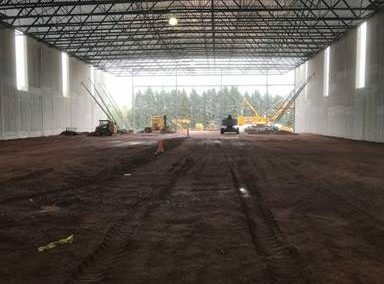 The floor has been poured for the field-house, the masonry end wall is complete and started hanging the steel for the running track. 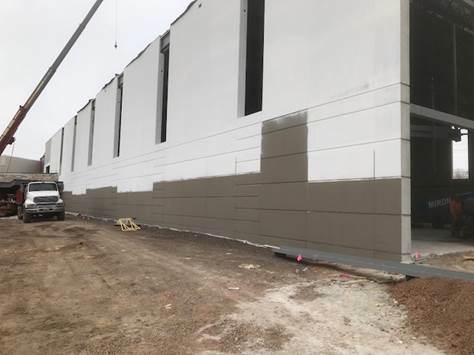 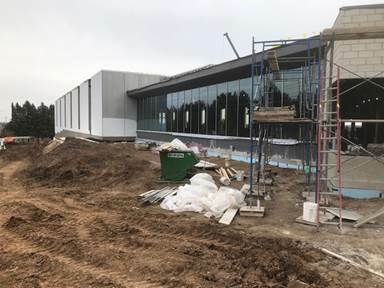 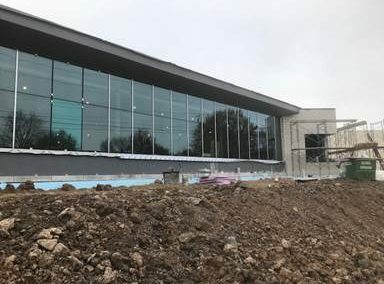 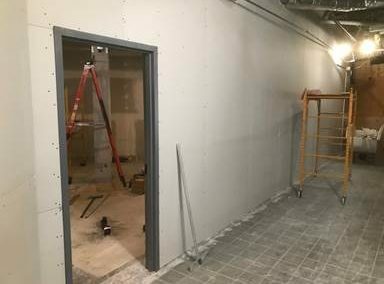 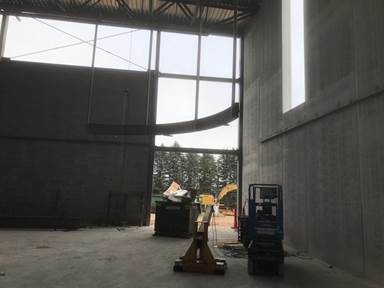 We continued installing the windows and masonry veneers as have all the exterior of the field-house caulked, primed and are applying the finish coat of paint.